All electronics will fail with age. 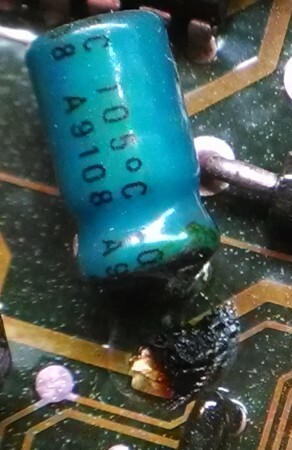 A significant chunk of the failures are due to electrolytic capacitor failure. These components are virtually guaranteed to fail eventually, even under normal use circumstances. 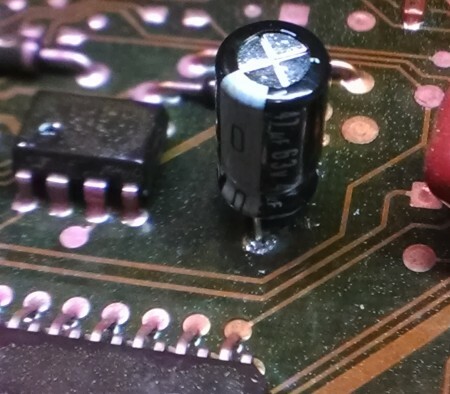 There are even calculators that can help you estimate how long a given capacitor will last! 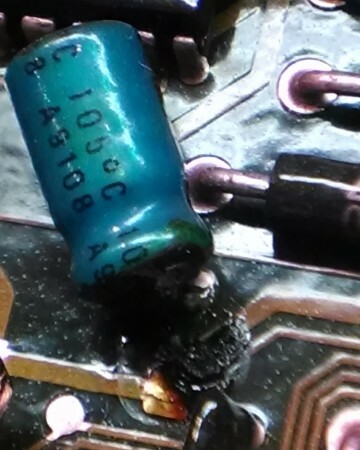 So why do manufacturers use these components if they know they will eventually fail? There really aren’t a lot of good alternatives that have the necessary specifications AND are inexpensive. 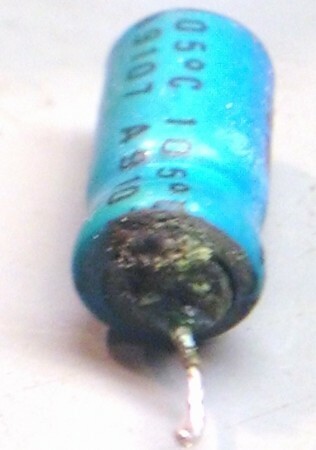 Bottom line: all electronic devices that have power supplies generally have electrolytic capacitors that fail. Ford ECMs are no exception. Note: all of these pictures are fairly high res. If you click them to view the original, you will be able to zoom in for much more detail. 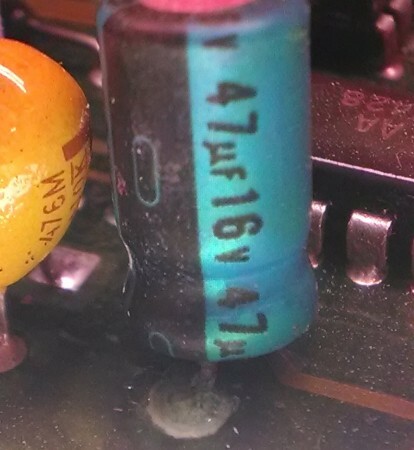 There are three capacitors that typically need replaced in an A9L / Fox Body MAF ECM. First step: Take off all the A9L’s clothes. Both upper and lower case will need to come off. 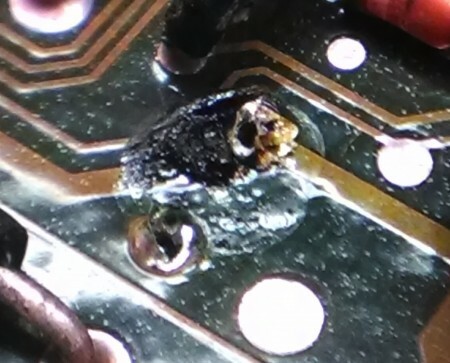 These are TORX screws! 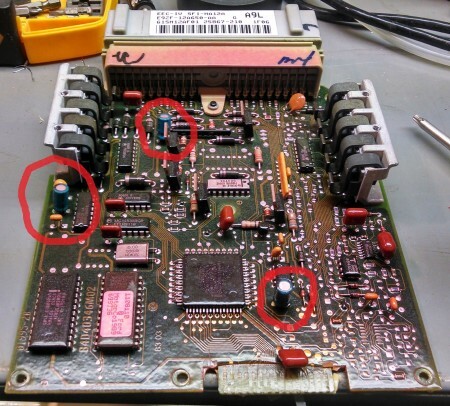 Next, locate the capacitors that need to be replaced. 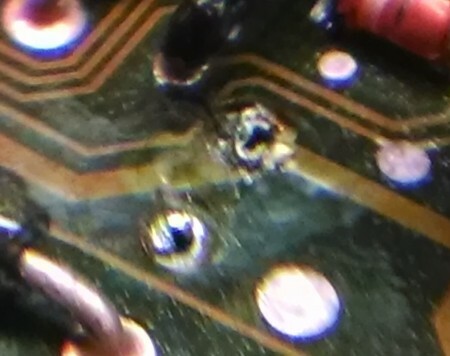 Even in this extreme close up shot of the base, it is hard to see anything OBVIOUSLY wrong. 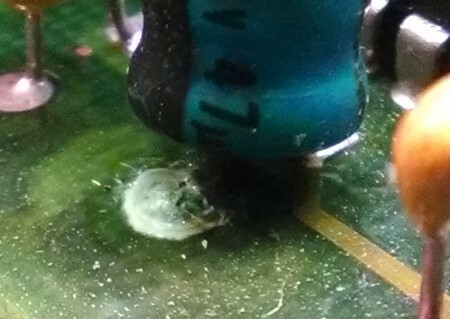 Next step: de-solder the old capacitors. Like always, we recommend that you use a high-quality de-soldering tool such as the Hakko 808 or a Xytronic 988. 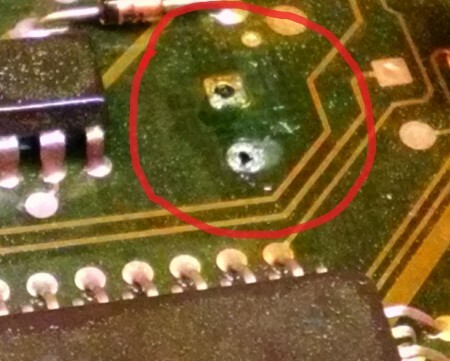 You’ll have a hard time if you try to use a de-soldering braid. I had to apply a lot of heat and go really slowly in order to achieve solid results. 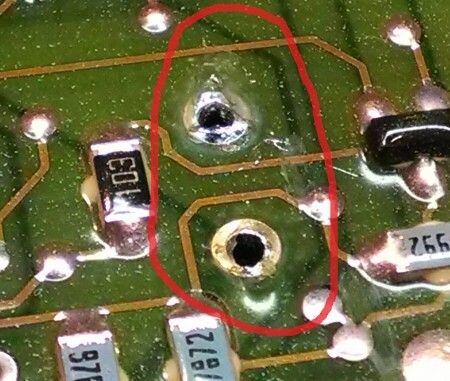 Next, it’s time to solder in a replacement. 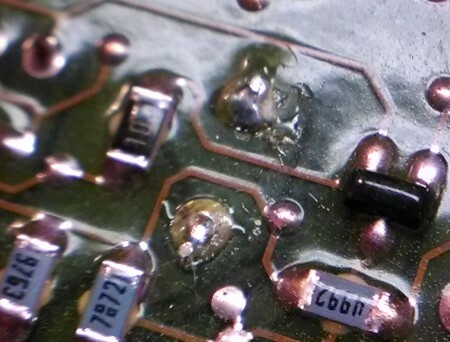 Once everything is cleaned up, solder away with the replacements. This ECU pictured took about 30-40 minutes to split, de-solder caps, re-solder caps, clean J3 port and re-assemble.